In general I am not very interested in exhibitions and art but last week I visited a exhibition which is defenitely worth a visit. 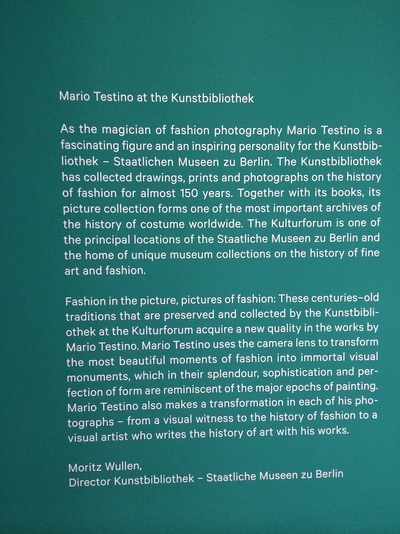 The exhibition is called In Your Face from Mario Testino and you will be able to visit this exhibition till the end of July. Mario Testino is a fashion-photographer which has worked with many celebrities all over the world. He is born in Lima and his biggest achievement was working with Princess Diana in 1997. 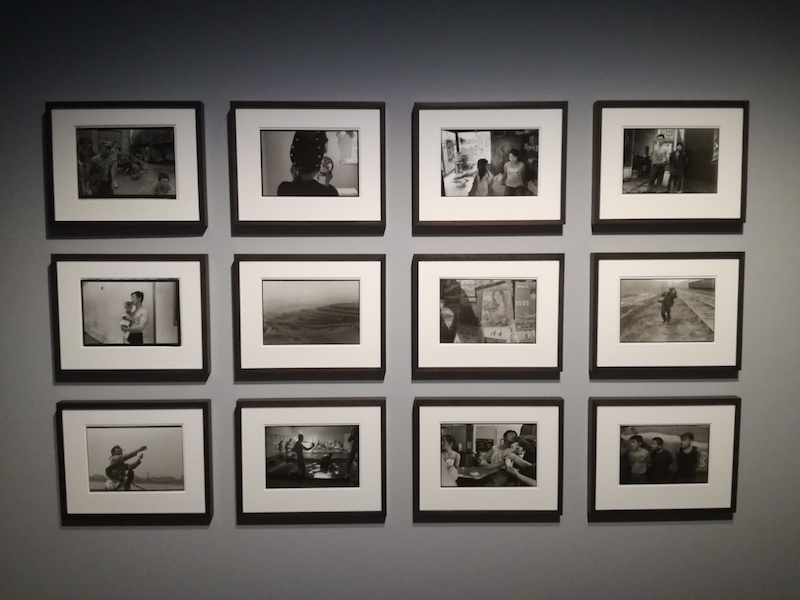 His photos are unique and all tell a story and that makes this exhibition worth a visit. 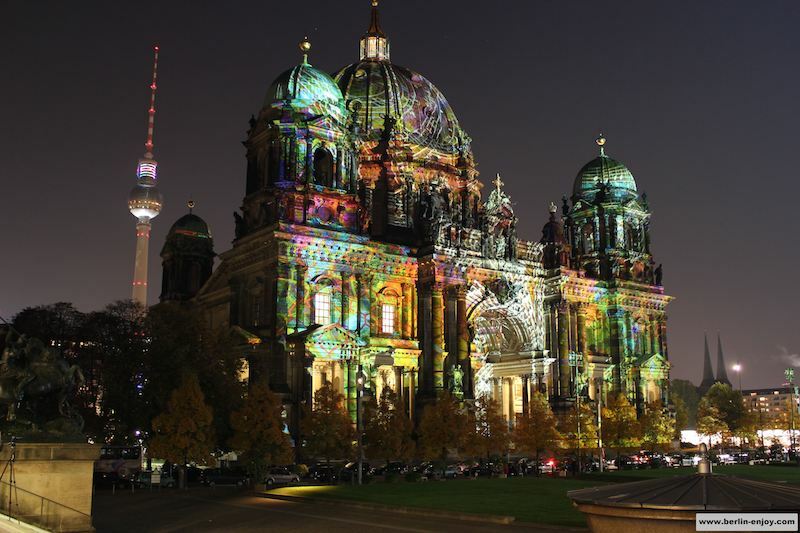 Some of his best works can be admired in Berlin right now. Even people who are not a big fan of art and exhibitions will have a great time at In Your Face from Mario Testino (I can tell because I am one of them). The photos are a mix of art and beautiful photos of celebrities we all know and adore. With photos of Kate Moss, Jennifer Lopez, Madonna, Brad Pitt and many more you will not be bored for a bit. 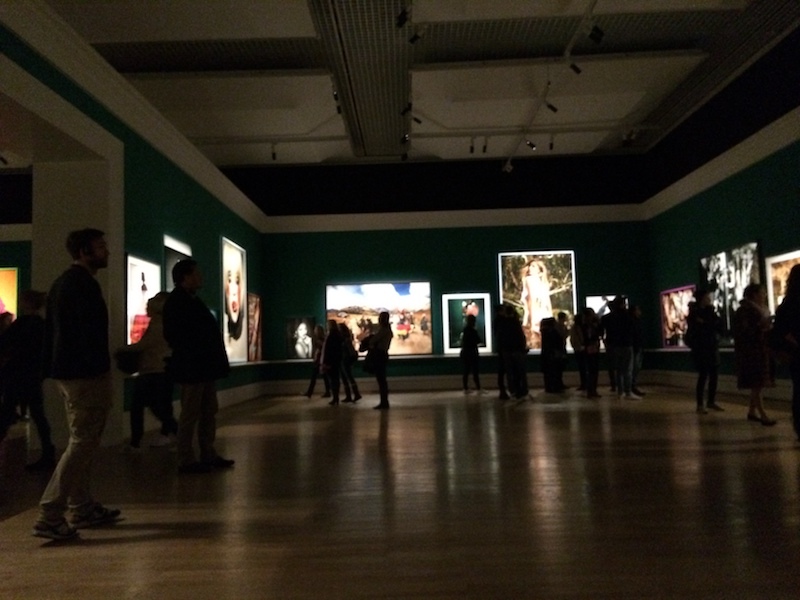 The exhibition In Your Face is presented in five different rooms and there are probably over a hundred photos. The exhibition In Your Face can be found in the Kulturforum which is on the Matthäikirchplatz. This location can be reached by foot from Potsdamer Platz but it might be easier to take a bus and step out in front of the building (bus number M85, M48 and 200 reach this destination). The exhibition costs 10 euro and if you can prove that you are a student you get 50% discount. In Your Face can be admired till the 26th of July and you can find more inforarmation on this website. Below you can find a few photos of the exhibition, they have been taken with my phone so the quality is quite poor.